The summer of 1985 was a particularly gruesome one for terrorist incidents. 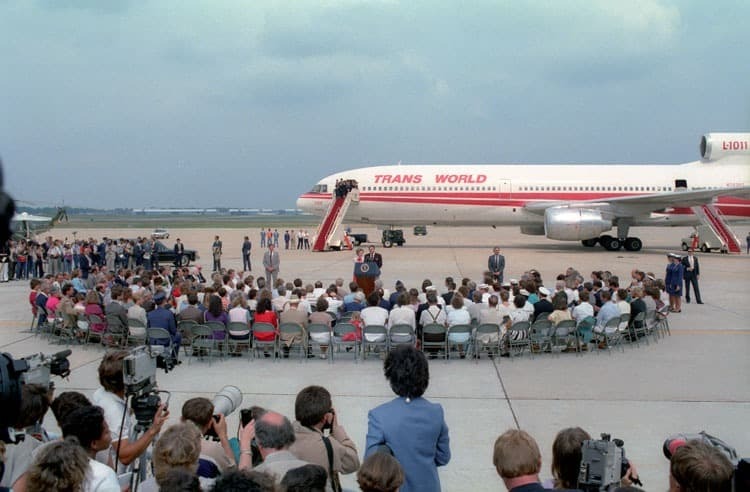 One of the more memorable was the hijacking of Trans World Airlines flight 847 en route to Rome from Athens in the early morning of June 14, 1985. 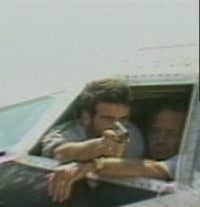 Hezbollah terrorists were able to seize the plane and divert its course to Beirut. Onboard were 139 passengers, eight crew members, and several Shiite Hezbollah terrorists, who demanded the release of hundreds of Shiite Muslims held in Israeli prisons. The hostage crisis of TWA Flight 847 lasted for 17 days — the plane landed twice in the Beirut International Airport, twice in Algiers, and once more in Beirut. The world watched as the events unfolded live on CNN, which had premiered just five years earlier. The terrorists had a list of demands, including the release of those involved in the 1983 bombing of U.S. Embassy Beirut. Through careful negotiations, terrorists Mohammed Ali Hammadi and Hasan Izz al-Din allowed a number of hostages to be released in exchange for fuel and food during one of the stopovers in Algeria. 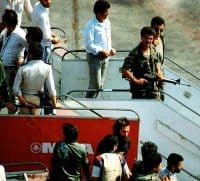 After landing in Beirut for the last time, the terrorists kept the remaining hostages in a Lebanese prison where they were kept mostly unharmed. After the crisis had ended, Israel ended up releasing over 700 Shia prisoners over the following weeks, though it asserted that the prisoners’ release was not related to the hijacking. Successful negotiations between the Shiite Hezbollah terrorists and American officials, as told by Parker W. Borg in his interview with Charles Stuart Kennedy in 2002, led to the release of the hostages. Borg worked as the Deputy for the Office of Counterterrorism from 1984-86. The Algerian government’s involvement in the delicate exchange is described by Michael H. Newlin, who was Ambassador to Algeria at the time. He was interviewed by Kennedy in 2006. David L. Hobbs, who was part of the Emergency Center at the State Department’s Bureau of Consular Affairs, describes the reception of the remaining hostages released from Lebanon and flown to Germany and then to Andrews Air Force Base on June 30. He was interviewed in 1997. Two years after the hostage crisis, Hammadi was arrested in Germany and sentenced to life in prison. He was released on parole in 2005 and is believed to have returned to Lebanon. The United States has since unsuccessfully petitioned Lebanon for Hammadi’s extradition. There is speculation that Hammadi was killed by a CIA drone attack in June 2010, although this has yet to be officially confirmed. Hammadi and his surviving companions from the hijacking remain on the FBI’s Most Wanted Terrorist List. The Taking of Flight 847: The Uli Derickson Story, a movie depicting the first 48 hours of the hijacking event as told from the perspective of the TWA flight attendant, was released in 1988. You can also read about the hijacking of the Achille Lauro, the hijacking of Ethiopian flight 961, which had been the deadliest until 9/11, the rise of Hezbollah, and other Moments on terrorism. BORG: Just to give a sense of what happened, June 14th was the TWA 847 hijacking; there was on June 19th a bombing at the international terminal at Frankfurt’s international airport which killed four people and left 60 injured; the Bella Rosa attack on June 19th in El Salvador; on June 20th five bombs in Kathmandu; on June 23rd a shaman bombed an Air India flight from Toronto over the North Atlantic, killing 329 passengers and crew members; on June 23rd, a few hours after the explosion aboard the Air India flight, a bomb exploded in baggage handling at Tokyo’s Narita Airport, killing two Japanese workers; in Spain on July 1st, a bomb exploded in the British Airways ticket office killing one passenger and injuring 27 others; the blast gutted the premises and also wrecked the TWA office directly above. All of these incidents occurred while the TWA 847 hijacking was going on. It was just an incredibly intense time of terrorist activities…. from Athens to Rome, and they forced it to land in Beirut after two round-trips from Beirut to Algiers. So the plane took off and landed twice in Algiers and twice in Beirut before it finally ended up back in Beirut. That whole incident took 17 days.… We had our response team visiting in Algiers trying to convince the Algerian government that we could be of some sort of assistance. I did manage to get in touch with my contact, the President’s Chief of Staff. I relayed my instructions. He said, “Well, on humanitarian grounds, we will let the airplane land.” The Operations Center called and said, “Here is a message that you are to deliver to [pictured, Algerian] President Bendjedid immediately.” So I started taking it down. I said to Nat Howell [Deputy Chief of Mission in Algeria], “Get in the car and go to the airport, the plane will be landing soon. I have got to take down this darn message.” So I remember at one stage I said, “This is far too long.” By the time I got the message written and started having it translated, I left for the airport and got there after the plane just landed. Sure enough the Greeks put the third hijacker onboard a plane for Algiers. So then we set up a unit out at the airport with the Algerian negotiators and senior officials and myself and Nat Howell. Sure enough the plane arrived from Athens with the hijacker on board and Greek officials. So the Algerians used that bait [the third hijacker] to get the women and children released from the plane. I didn’t know — I had no idea — that they had then agreed the plane could fly to Beirut. So I was greeting the women and the children as they got off the bus from the plane when the plane started up and took off for Beirut. 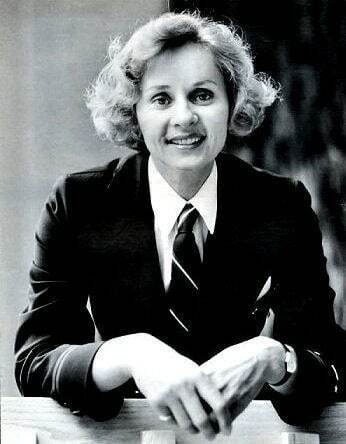 So we took the women and the stewardess [Uli Derickson, pictured] to our residence and tried to reassure them that we were going to work on getting everybody released. The stewardess furnished us a report on the hijacking and her description of the hijackers. 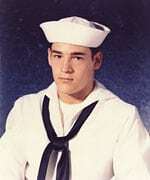 When the plane landed in Beirut, the hijackers shot and killed a Navy SEAL [Robert Stethem] that they had found from his Navy credentials and threw the body out on to the tarmac to show that they were serious. They got several other hijackers to join them and then they flew back to Algiers. The plane was kept at the far end of the runway. Then the Algerians started negotiating with them. Their demands were for release of some prisoners that the Israelis were holding. I think there were 400 of them or something like that. So these negotiations sort of took on a life of their own. Finally, about another third of the passengers were released in Algiers. They were men. 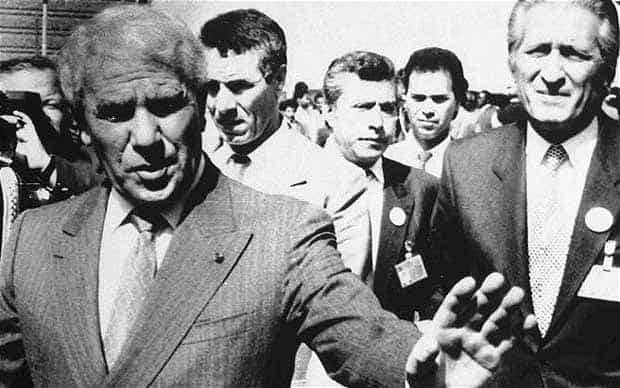 So then a couple of days negotiations dragged on, and the Algerians hinted to me that they were about to assure the hijackers that they could arrange for the Israeli prisoners to be released if they would release all of the remaining hostages. I said, “I cannot speak to that. I don’t know that.” The hijackers could on their own radio hear that the Delta force was in Italy. It was early one morning, and we had developed in the embassy the ability to monitor unclassified communications. So I was told that there was a great commotion on the runway and the hijackers were threatening to kill more of the passengers. They got the pilot to say that he was being tortured. I was in touch with my contact urging him not to let the plane take off. The Algerians finally let the plane take off; they did not want Americans killed on the tarmac in Algiers. That was the end of my involvement in it. The plane flew to Beirut. These were the first incidents that I recall when we got most of our information from CNN because CNN was on the scene in each one of these places and we were not relying on reporting from the embassies or occasional broadcasts from the main networks, but CNN was on the spot. 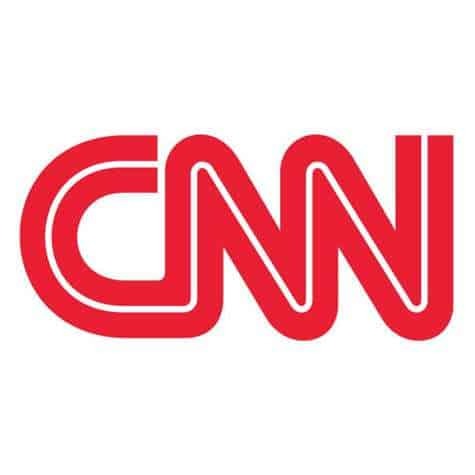 I believe that this established a precedent for all future terrorist activities or all international incidents that some way CNN became the big player in terms of keeping us informed of what was happening. Q: It also kept the hijackers informed too, which meant that you had to work around the cameras. We were constantly on the phone with people in the different embassies trying to sort out solutions to this, but it’s hard to say that we did much that resolved it. But the issue of taking down the plane, they were certainly not going to do that. If I remember correctly, there was one plan that the pilot was going to declare that…he didn’t have adequate fuel and was not going to be able to make it to Beirut and so was going to try to bring the plane down in Cyprus, where one could attempt to resolve the crisis in a friendly environment. The feeling was that they already had a large number of hostages in Beirut and that if they added all the passengers on this plane and they began mixing the passengers on the plane with the hostages on the ground in Lebanon, we’d have a much greater disaster than we already had. Remember, this was a time when there was a lot of fighting between the different elements within Lebanon. We were able to arrange the release of all of the different captives with the exception of the one that was killed, so, yes, from our perspective it ended up successfully in that there was only one casualty that we didn’t add to the number of hostages that were already being held and they didn’t mix. NEWLIN: Immediately…[National Security Council Advisor] Bob McFarland went to Beirut. It turned out the Israelis were prepared to release the prisoners for their own reasons. So I think that it worked out that finally some prisoners were released as a result of the negotiations that McFarland had. So all of the hostages were finally released. But thanks to the Algerians it was possible for 2/3 of them to get released in Algiers. HOBBS: I was there when the TWA plane was hijacked in the Middle East….Others were finally brought back to Germany after several days. We arranged to get them back to the States…. In fact, everybody in Washington flew over to Frankfurt when the passengers were let loose. It was amazing how many people were over there. When the aircraft was coming in from Lebanon to Frankfurt – they bring them to Frankfurt and offer them medical examinations, etc. — …they had some people from the FBI go over because it is a violation of U.S. law to kidnap an American citizen. The CIA was there and a whole lot of people. I went over there and Bob Oakley, head of S/CT, went over. Vice President [George H.W.] Bush went over and Senator [Ted] Kennedy. 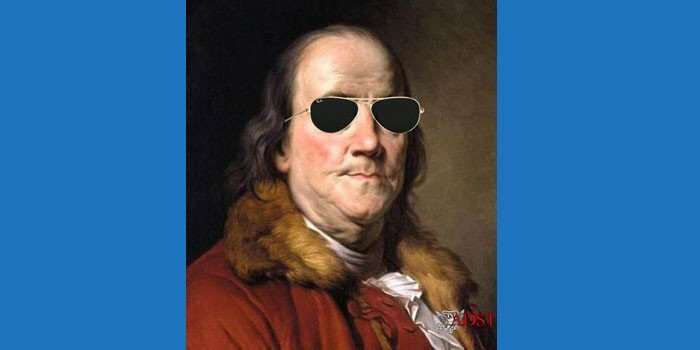 I said, “Well, come over here and I will introduce you.” I took him over and introduced him as the brother of so-and-so and the Vice President was very, very good, absolutely marvelous. He did a fantastic job of making them feel he was very interested in their situation. He was very impressive and worked the room very nicely showing the government cared. The ride back was amazing. TWA put on a special aircraft and treated everybody as first class passengers – good food, lots of flight attendants, etc. They were all in various ways traumatized by this thing. Some of them were very talkative, some were very withdrawn. It was kind of interesting to spend that many hours on an aircraft with people who had been through such a difficult situation. It was a terrible experience for them and to see them and get to know them better was a very special thing. I felt it was the kind of job that gave you enough highs, these very special events, which more than compensated for all the trouble that went on.